Piso Fare Promo 2018:The Piso Fare promos from low cost airlines is now over! But don't you get a little disappointed if you weren't able to book a single plane promo ticket during that time. Cebu Pacific is here once again with some select promo fare offering to domestic destinations. The airline could be inviting you to visit and see the grandeur of Ormoc and Cotabato with what they can offer. It launched a new promo fare of an all-in fare of Php 599 to the said destinations above. What do you think you will find when check these provinces? Is there something beautiful? Will your experience be amazing? How is it different from other tourist destinations? Well, we have set some pointers that you might consider for your next adventure or family trip. Booking is only until July 13, 2017. So what to expect when you visit Ormoc? 1. Leyte Geothermal Production Field- this is something different to check in Ormoc but don't underestimate this checklist. It is known to be the single biggest power plant in the world! Yes, you read that right! So pay a visit to it. 2. Punta de la Reina- this short bridge is a historical piece of Spanish colonization and is known to be the oldest bridge in Ormoc. If you're a sucker of ancient stuffs, this is a place to be. Well, you can have your selfies here as well. The view is really great and nostalgic. 3. Lake Danao National Park- perfect for sightseeing as well as bonding moments with your friends or family. There are a lot of activities to do in this natural and picturesque spot for everyone to enjoy! And if you need food, there a floating restaurant accessible. 4. Leyte Mountain Trek-If you love trails, trekking, climbing and loves the adventure of backpacking, then, this is a go-to place for you in Leyte! But don't worry, children can participate in trekking as the trails are just so easy to trod on. Sounds nice, right?! 5. Lake Janagdan- Well, Ormoc has a no. of lakes to boast but this one is the smallest you can find. But be mesmerized with the view when you're in here! We hope you consider these sightseeing spots when you visit Ormoc. 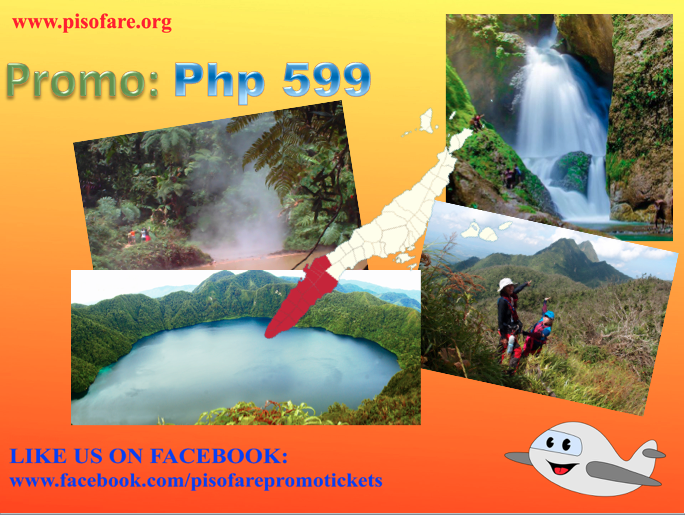 Of course, there is also an option to fly to Cotabato where it has a lot of springs, lakes and historical sites as well. If you prefer other destinations, check below for the complete list of promo fares. Do you have a plan in mind already on where to do? Again, Ormoc could be one of the go-to places. However, with the recent earthquake occurrence that hit the province, expect some areas closed including business establishments.